O.K you know I can't just let this one go. Let's discuss the Obama plan shall we? Uh....what is the Obama plan? Oh right his idea is to tax the crap out of them. Will someone please tell me how taxing the crap out of them is going to lower the price of gas? O.K one oil company made 40 billion dollars in the first quarter of 07. That may seem like a lot but when you are a 700 billion dollar company that isn't all that much. Exxon operates off of a 9% profit margin. That is very little. UTC the company I work for operates at over a 20% profit margin so using Obamas logic should the government be taxing the crap out of them too? Take a look at Amgen sometime. I bet their profit margin is much higher than Exxons. Since when has it become illegal in this country to make a buck? Also soemtime take a look at your 401k. I'm willing to bet that you have investments in "Big Oil". Most Americans do. Speaking of which hasn't Congress investigate the "Big Oil" companies 5 times in the last 2 years looking for price gouging? What was it that they found......oh right nothing. If the technology exists to offer a RELIABLE and COST AFFECTIVE alternative to oil we would be using it. The government spends billions every year funding companies to come up with a solution that meets those requirements and they don't have anything yet. Don't get me wrong I would love to have an alternative to oil but until then why not use some of the oil that we have? You talk about the oil companies restricting the amount of oil that is being harvested now. First of all the American companies have only a vested interest in foreign oil. They do not tell them how much to pull out. Sure they can make requests but they cannot make demands to a foreign country. Let's put this into perspective. Suadi Arabia is in the desert. Their only GNP is oil. They have little to no manufacturing or agriculture. If oil was the only thing that was keeping your country from being a 3rd world nation and someone told you that you are going to eventually run out of the only thing that generates money for your country wouldn't you slow down some and try and drag it out as long as you can? This is a simple case of supply and demand. The demand is going up and the supply is going down so of course prices are going to go up. The solution to this problem is to start tapping our STRATEGIC OIL RESERVES. Thats what they are there for. In the mean time continue to research a RELIABLE and COST AFFECTIVE alternative to oil. Oh and you wouldn't see any oil derricks from the beach. They would be several miles out. And the oil that's in ANWR is out in the tundra. Love the way liberals and enviromentalists show pictures of beautiful mountain tops and frollicking dear. That's no were near where the oil is. Anyway come up with something better than that to vote for Obama. The guy has no idea what he is doing and is only a talking head for whoever is telling him what the people he is talking to at the moment want to hear. The guy flip flops on every issue he has ever discussed. Think we are pulling out of Iraq if he wins the presidency? Think again. He is already changing his mind on that one. 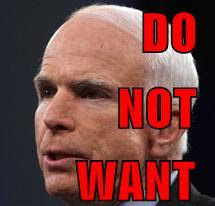 McCain is'nt much better but at least he stands by what he says and isn't intent on destroying the one thing that makes this country great.....LIBERTY.